Arizona, this one’s for you. More fallout from the Redflex (we’re too corrupt for) Chicago Scandal. This time investors and bought politicians should be running for cover, deep cover. That being said…..
You have refused to do anything about a system that was too corrupt for Chicago and for that you will pay dearly. Yes, THAT Chicago – the one whose mayor is Rahm Emanuel. 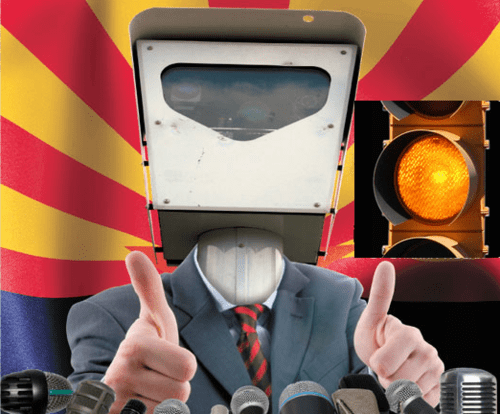 Members of the Arizona Republican Party, like Rep Karen Fann for example, have been given opportunities to ban Redflex and their scamera boxes from the roadways of Arizona, multiple times. Your party platform specifically states you are to oppose photo radar. However, when given legislation (SB 1352, SCR 1029, HB 2579) or a wildly popular initiative that would get rid of Redflex and their unconstitutional system of phoney baloney ticketing, all we hear are excuses. It’s deafening and you should be ashamed of yourselves. For the democrats who claim to give a rip about civil liberties – your defense of photo radar makes you a complete joke. The game is ending and so is your career. Deal with it. Speaking of people whose career is over with, Karen Finley, Redflex CEO aka the Wicked Witch of the West is done, fired, adios. Gone with her are two other top executives, the CFO and top attorney (General Counsel). 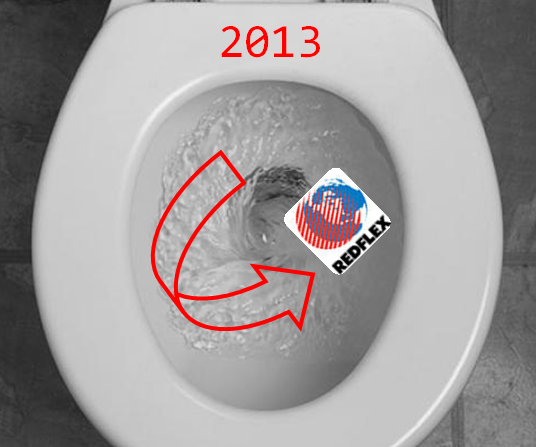 The Redflex Death Watch is currently entering it’s 4th week and we’re on the third halt of trading their stock. It will resume trading on Tuesday in Australia and so far the predictions are not good. This house of cards has been swaying violently ever since Janet Napolitano installed their ring of spy cameras across Arizona highways only to skip town and head to D.C. 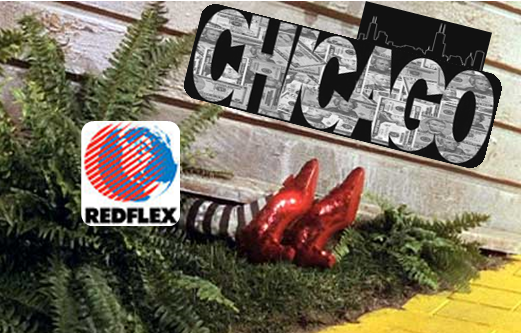 The Redflex Chicago Scandal (yet to be named) will end the company as we know it. Investor confidence is shattered and will likely result in a sale with a measly sum compared to the 2011 bid by the Carlyle Group and Macquarie. They should have done the deal and now they’re out of luck. “Out of luck” is the best that any politician in Arizona who has defended photo radar or taken money from Redflex and their lobbyists can hope for. Behind bars is another scenario. Some advice to Reps Karen Fann, Sonny Borrelli, Victoria Steele and Juan Escamilla – you’d better give any money back you took from the Redflex Gangsters and vote YES on the “Photo Radar Prohibition” bill when it goes to a floor vote in the AZ House. If this company and their kind is too corrupt for Chicago, think about what’s about to happen in Arizona. This is just getting started. The cameras are coming down! Who knew it would be Chicago that finally crushed Redflex? Our condolences go out to Karen Finley….. well, not really. Next time you all should look for towns that don’t have internet or network television. That might leave the chance that they can’t discover the truth about Redflex Traffic Systems. 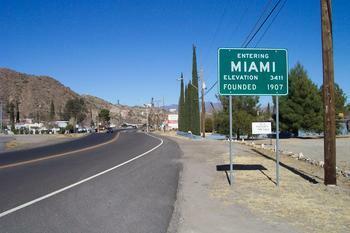 Miami, AZ is a far cry from the city in South Florida that shares its name with. Not very many folks pass through the town, unless they’re making a pit stop on their way from Phoenix to cooler destinations in Arizona. They looked like an easy target to Redflex Traffic Systems, who probably thought they’d just need to convince a Barney Fife type that their cameras somehow save lives, despite all the evidence to the contrary.